“We represent over 40 different countries and over the past two years, I have run the annual multicultural event, which has been a cool thing at the end of the year to celebrate diversity in our school,” Shelby Riley explained in a recent interview. Riley is the one of the City Connects site coordinators in Boston’s Thomas Edison K-8 School, where nearly 60 percent of the Edison’s students come from disadvantaged homes, according to the Massachusetts Department of Elementary and Secondary Education, and 49 percent are English Language Learners. After brainstorming with Edison’s principal, Samantha Varano, Riley worked with a team of teachers to organize a multicultural event. It was based on a similar event done by one of the Edison’s community partners, EF (Education First). So, each classroom adopted a country that was represented by a student at the Edison. “We did a survey to see where everyone is from. It ranged from Pakistan to Canada to Brazil.” One teacher chose Japan, another the United Arab Emirates. Sometimes teachers choose a country that many children in the classroom were from. In other cases, children learned about a new country. Then the classrooms became microcosms of their chosen country. “We had this around-the-world event where students ‘traveled’ to each classroom. 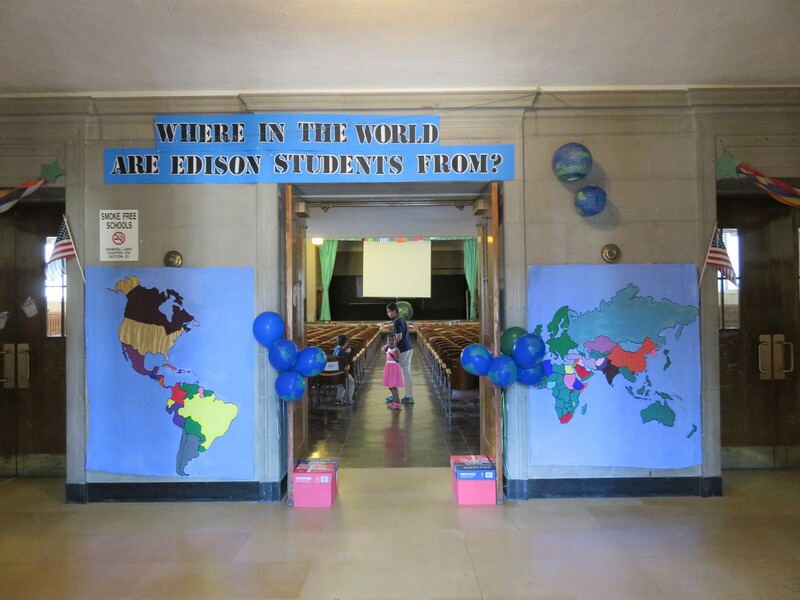 They had passports and they explored the Edison world.” Eighth graders escorted kindergarteners to the different countries. And students who sometimes had behavior issues participated happily. This year, the plan is to make the event bigger and expand it to several days. 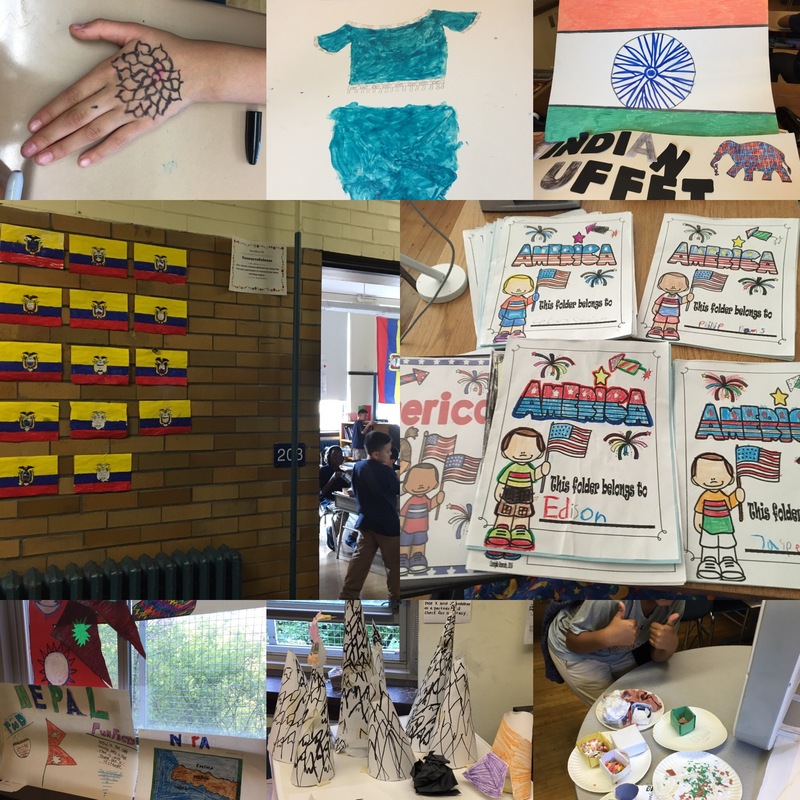 The multicultural event is a giant geography and culture lesson that builds on students’ strengths, engages English Language Learners, and promotes student and family engagement. The event also helps build a safe and supportive school community. And it’s just one example of the kaleidoscopic work that City Connects’ site coordinators do as they learn about students’ lives and meet their needs. This can mean managing relationships with outside organizations to bring music, history, or dental checks into schools. It can also mean helping teachers, ensuring one child has a winter coat, or letting another child share his or ability to speak another language.